Gourmet Magazine is shutting down. As a subscriber and collector of Gourmet, I am sadden to see it go. It has been around since 1940 making it the oldest food magazine. 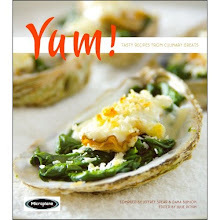 I have shelves filled with this magazine that offer beautiful food photographs and delicious recipes. I'm not sure how this will effect Conde Nast's Epicurious website though I still see the links for the magazine and subscriptions. You raise very good points, I agree. I even use Martha Stewart Every Day Food more than those for weekday meals – so good! I rarely buy all of those magazines. Publications also needed to get into the online game more, especially robust, beautifully designed online password-protected content for subscribers. Why people are so sad..it just a magazine...LOL..